Remarkable Marketable Me: CARE ~ If you love our work then tell the world! Won’t you help CARE participate in the campaign by posting a review of your experience with us? CARE ~ If you love our work then tell the world! Won’t you help CARE participate in the campaign by posting a review of your experience with us? Hi Jean Robb here. If you've been to CARE you know what a great sanctuary it is and the great work that they do. Many of you have visited the center and wanted to help but in today's economy it's hard to do much. Here's a great way to help the cats and not cost you a penny! If you love our work then tell the world! You have an exciting opportunity to help us make even more of a difference in our community. GreatNonprofits – a site like Amazon Book Reviews or TripAdvisor – is conducting a campaign to identify top-rated animal nonprofits. OUR MISSION: Provide for the rescue, rehabilitation, and holistic nurturing of sick, injured, and abused Big Cats. CARE is dedicated to providing these majestic creatures with a safe habitat so they can live with dignity and comfort. Frequently Asked Questions How did CARE get started? CARE has not always been the organization that it is today. In years past, the facility was used as a big cat boarding house for a traveling show. Over time, new leadership arose that wanted to take the organization in a new direction. With inspiration from our late mascot, Jake, CARE was created. Jake was the living example of the horrible things that a person could do to a big cat. He was declawed, malnourished, left for dead, and the prospect of his survival when he first arrived at the facility was slim at best. CARE was started to put an end to these stories. We all share the same contempt towards those who continue to abuse big cats, and our organization is dedicated to fighting for their safe-keeping and survival. 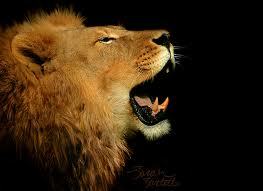 When it is possible, we will house and rehabilitate sick, injured, and abused big cats ourselves. CARE is also dedicated to the future of big cats through research. This research will help us to better provide for big cats in captivity. We all wish for big cats to live in the wild where they deserve to be. Unfortunately we see decreasing numbers of big cat populations in the wild because of; poaching, disease, loss of habitat, limited gene pools and starvation. As human populations continue to rise, the cat population in the wild will surely decrease until there is no “wild” left. If we wish to have them for future generations to learn about, admire and witness, it is crucial that we provide for these amazing creatures in captivity. Where does CARE get its funding? CARE receives financial support from different venues. These include corporate sponsorship, our adoption and sponsorship programs, fund-raising events, tours of the CARE facility, and (most importantly) private donations from people like you! Our ability to care for these animals relies solely on the profound generosity of our supporters, and we deeply thank each and every one of you who have so selflessly given so that the cats could live in safety and comfort. Absolutely! Our goal is to educate the public about issues effecting big cats, in turn the public may become more active in our fight for big cat survival. We give tours by appointment during the week and every hour, on the hour, on Saturdays and Sundays. 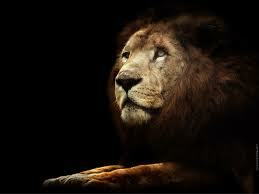 Please visit our Visit CARE section to learn more about visiting the big cats of CARE in person. How many Big Cats do you have? 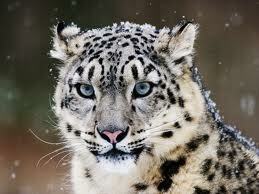 CARE is home to 35 Orange and White Tigers, 3 Lions, 5 Spotted and Black Leopards, 7 Cougars, and 1 Snow Leopard. Please find the Our Cats section to see each cat’s personal profile. Where did all the cats come from? Our cats have come from a number of different places. Sadly, some of the cats have come from private owners and unethical entrepreneurs who oftentimes were abusive and neglectful to their cats. Some were born at the facility before CARE became a sanctuary. Check out the Our Cats section to learn more about each cat’s history. How do you feed your Big Cats? This is a high profile question. Most institutions feed their big cats a processed meat product. For the most part this contains quality meat with vitamins added for optimal feline health. Although this is appropriate, we have found feeding whole animals like cows, horses, deer and store bought chicken has great health benefits. The majority of animals used to feed are donated livestock that have recently expired. In cases where these animals are still living, they are euthanized humanely. These animals are in critical health and would die soon on their own. Our policy is to relieve any suffering immediately. The living animals arrive mainly due to colic, complications in birthing, broken legs or extreme emaciation due to old age. Each animal owner is asked a series of questions to assure the animal cannot be rehabilitated. In the cases where rehabilitation is possible, CARE has gone so far as finding permanent homes for the animals in need. CARE has found it healthier for the animals to be fed what we call “holistically”, which means feeding the big cats the whole carcass. Our big cats are eating the way they naturally would in the wild. The multi-day process of feeding allows the digestive system to function how it was intended and promotes positive dental health (by eating bone, skin and hide). Everyday CARE and other research institutions are learning more about the positive effects of holistic feeding. How long does a Big Cat live? 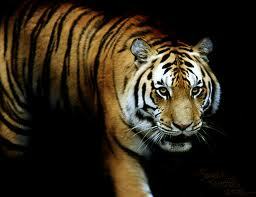 When a big cat is in the wild it will live, on average, about 10 to 12 years. In most captive situations the cats will live 15 to 17 years. Here at CARE, however, the cats tend to live around 18 or 20 years (and some even longer!). We attribute this to the “holistic” feeding method that we implement and also to the great amount of loving interaction that we regularly give the cats. Why are the cats in a sanctuary instead of being put in the wild? There are a few reasons for this. Contrary to popular belief, there are very few places in the world that can be truly considered “wild” anymore. Most of the conventional “wild” places of the world are actually parks and reserves that are funded by local governments. Every cat that CARE provides a home for was born, raised, and has lived in captive-bred situations throughout their lives. Their learned capacity to survive in the wild is virtually non-existent. To simply thrust those animals into the wild, without them having the proper know-how to survive, would be a horribly neglectful and cruel act. Through recent research and discovery, it was found that tiger cubs taken from captive-bred situations and given intensive training over the course of years could be taught, by people, to hunt and live comfortably in the wild. Unfortunately, these cats also are living in a fenced area surrounded by people. 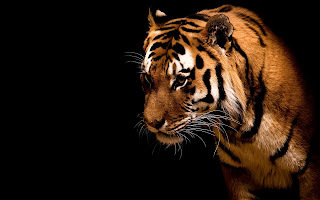 Like other big cats that live in the “wild”, if the cat were to escape its protective area it would most likely be killed by poachers or farmers protecting their families and animals. The animals trained in this release program are not afraid of people, thus making them more dangerous if they ever escaped their protective area. Ultimately, we at CARE wish that there was never a need for sanctuaries like ours. We are hard-pressed to understand how anyone could ever treat these animals with anything but respect, dignity, and love, but we know all too well that those types of people exist. 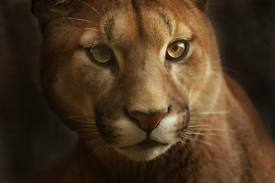 So as long as there are abused and neglected big cats out there that need our rescue, then we will not stop our mission. Is CARE currently accepting new cats? CARE is currently at its capacity as far as the number of cats that we can viably support. We are running the facility at its peak efficiency, and we are working on ways to increase the amount of cats that we are able to support without negating the care that we are able to give to our current residents. We have recently purchased the neighboring property with the hopes of cleaning it and building more enclosures to house more cats. We’ve also started an aggressive fund-raising campaign with the hopes of providing the means to support the potential increase in our cat population. We want to try and help as many big cats as possible, but we must not ever decrease the level of care that we’re able to provide to those we have already made commitments to. Has there ever been an escape at CARE? A cat has never escaped from the CARE compound. Why are there so many unwanted exotic animals? Many in the private sector who gain access to the ownership of a big cat do so when the cats are young, small, and manageable. Many people who own big cats also own them illegally. They will acquire the cat under the impression that these animals would make good pets. This can’t be farther from the truth. What is needed to care for a big cat includes proper facilities, proper diet, proper veterinary care, and financial stability. Without all of these factors in place, the care of the cat will diminish, and the cat will most likely suffer as a result. Many people do not understand this. Individuals will strive for the allure or prestige of owning a big cat, and they sadly do not take the well-being of the cat into account. In many cases the cat will grow to be too large, dangerous and financially draining for the person to maintain. Hopefully the proper authorities are notified and the cat will be placed in a facility like ours, rather than the more horrific options of starving to death, escaping and being put to death, or sent to a hunting ranch. Can I physically help at CARE? One of the easiest ways to help at CARE is to simply fill out our volunteer application form. You can find the form in the Volunteer section of our website under How to Help or stop by the facility and pick one up. We’re always looking for devoted individuals who are willing to donate their time and energy for the sake of the cats. We hope to see you around! Lemur update! Five ring-tailed lemurs have arrived and are settling in nicely thanks to 84 Lumber and Triple B Builders. We must acknowledge and give a huge thank you to Ted Wenzelt of 84 Lumber in from Chandler, Arizona who organized the massive donation of materials that built the lemur dream home. Tons of materials worth many thousands of dollars arrived from the 84 Lumber yard in Denton, Texas in late November. Without this HUGE donation of crucial supplies, the whole project simply could not have happened. Another pivotal part of the puzzle was Bryan Berry, owner of Triple B Builders who helped design and build the enclosure. Berry, and right hand man, James “Jimmy” Bender, drove 20 hours non-stop from Arizona to Texas. With the help of many CARE volunteers, the two worked from sunup to sundown every day for an entire week until the giant skeleton of the enclosure and indoor housing was complete. Triple B Builders’ decades of construction experience was pivotal in constructing a sturdy and safe enclosure of the highest professional quality. All of their highly skilled labor and tool use was donated. Everything but the weather cooperated for the event. Finally, we would like to thank all of the donors who contributed to the Lemur Fund and made the construction and initial materials purchase possible- Sandy and Frank Mendel, The Ray Family, Peggy Thomas, Susan Slade and Kristine Duplisea, Jeffrey and Carrie Kovarsky, John Stanzak, Ron Hein, Jamie Reed, Ashley Alexander, The Spicer Family, Angie Livingston, Chosen Leather and Silver, and Tigers Share. As usual, our deepest thanks to our dedicated volunteers who completed the project in record speeds in the final 3 weeks before the lemurs’ arrival. Without this giant combined effort, CARE could have never completed the project in time.The lemurs arrived at their new loving home in mid-December. They LOVE their new enclosure and are really warming up to their CAREgivers. This has been a very unique and interesting experience for both the animals and their human keepers. The lemurs have never enjoyed such a large space full of places to climb and corners to explore. We are all learning and expanding our knowledge of the cute little fuzzy climbers every day. We are happy to have them at CARE, and we are positive that they are enjoying their big new home as well. Their enclosure is fun, comfortable, and secure thanks to everyone’s generosity and hard work.CARE wishes to take a moment to thank all of the VERY generous individuals and organizations who made the “84 Lumber Lemur House” possible. 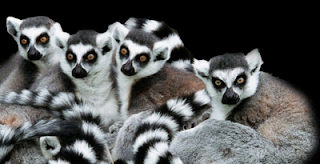 CARE also offered year-long adoptions and naming rights for all five of the incoming lemurs. We are pleased to announce that all 5 lemurs were swiftly adopted! Jeffrey and Carrie Kovarsky – K.J. We encourage you to come and say hello to our new friends. They generally come out in the afternoon and can be seen swinging on their tree and ropes, jumping around their HUGE enclosure, and sunning themselves in the afternoon rays. Our normal winter tour hours are from 12 to 5pm. Lemurs are sensitive to cold and only come out to play on warmer days. CARE will be starting a lemur encounter in March where you can sit and interact with the 5 lemurs. The cost of the encounter will be $50 for 1 hour. Details of the encounter will come in the following months. Visit our Flickr page to view more pictures of the lemurs and their habitat. Contact CARE Please feel free to contact us with any questions or comments you may have.